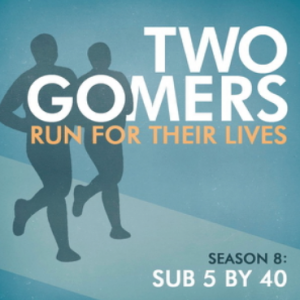 12 hours before the Marathon, the Gomers took some time out to record one more podcast, and here it is. 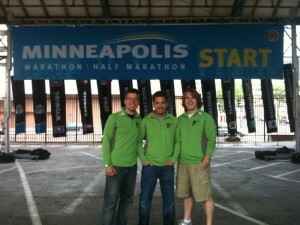 Revel in the pre-race jitters! Marvel at the golf-cart near-death incidents! Recoil from the mile-high farting! And enjoy the final episode they will ever record as non-marathoners. See you on the other side! Happy Running. Previous PostSeason 2 : Gomerthon 2010Next PostSeason 2 : Weeeeeee did it! Does anyone know their race numbers? You guys look really fit. Great job!